So in this post, Saminathan Anbalagan, IMG from India talks about how he scored a 251 on Step 2 CK and his journey. There are a lot of experience posts which are excellent guides.. I actually went through many of them and took the one which suited me.. So I’ll first write about few areas where I felt difficult.. And then give the whole experience.. I didn't have proper guidance for the assessments.. CMS, NBME and UWSA.. I didn't know how to go about.. I guess many people are feeling the same.. So lemme give an overview..
You don't have many assessments available for Step 2 CK as it was for Step 1.. So we gotta be shrewd in using the limited ones.. We have only 4 forms of NBME currently available online.. My recommendation is that, after you’re done with the basic reading of resources, start with NBME 6; don't try CMS or NBME 1(offline) before doing NBME 6 cause it has many repeated Qs from those.. IMPROVE the WEAK AREAS by doing more Qs and revising the subject many times.. Few days later, try NBME 7.. It will be tough but don't lose hope.. 225-235 in that is a pretty good score.. Next do NBME 3 as its similar to 7.. Finally when you’re pretty thorough with all subjects, use NBME 4 for final assessment.. That's the best one to accurately assess your final score.. If you’re not satisfied with the score, then POSTPONE the exam.. DON’T go for the exam with a low score on NBME 4..
To simulate a full length exam, combine the UWSA & USMLE Sample Qs (totally 8 blocks).. Or u may combine UWSA + NBME 4 (if you hadn't taken it earlier).. UWSA also predicts accurately.. ALWAYS keep track of the time.. Time management is THE MOST important factor..
For those who don't know what CMS is, Clinical Mastery Series(CMS) is a set of “assessments” given by NBME for each subject.. Each form has 50 Qs.. There are 4 Forms currently available online for each subj.. Make good use of these.. They are VERY HELPFUL & HY.. Just do one form per day without analysing the scores..(I did 3 forms/day x 4 days).. At least the latest Forms 3 & 4.. Especially Neuro & Psychiatry subjects.. These are mainly “extra Qs” rather than assessment of the subjects.. That’s how I see it.. Try to do it online. Here are the other things which I did similar to others.. Surgery, OBGYN, Paeds - MTB 3 (mainly), but I just quickly went through MTB 2 also & found it useful for a start. UW is the ultimate source for all subjects. I recommend that you guys do a quick review of Step 3 UW synopsis too. I found it highly useful. But don't do it until you're done with all other resources. I'll upload the link if I find it. Make a plan of what you’re gonna do for the next few months. A schedule always helps by keeping you in track. This is a link to the rough schedule I used but I made changes as I went along. Tailor it according to your needs. As I read through the resources, many parts were vague.. Many were algorithms; know all steps thoroughly.. There's no way around.. There ain't absolute answers for each Qs and “next step in management”.. But we’ll get used to it and find the way out as we go through UW.. Dig deep into each topics.. You won't get any odd topics out of the resources I mentioned but you need to know IN DETAIL about each topic. Be strong in each topic cause u wont have time in exam if you stumble and think for each Q. TAKE NOTES from UW! It ll be damn useful and easy to revise at the end. Write it on a separate book or on MTB. I did most notes on the MTB. My reading style: I usually start from the last line of the Q . Then will scan the options quickly . Finally, will go through the entire stem. That way I know what they want from us. Exam experience: It's a 9 hours EXHAUSTING exam. Be prepared for it. Utilize the break time well. I used 5min-5min-10min-5min-20min-5min-10min. Eat properly and drink enough fluids to keep up the stamina. Exam was tough. Especially, the last 2 blocks. It wasn’t cause of exhaustion but literally many out of the blue “management” questions. Most questions were from UW, MTB, CMS only. Nothing else. So you people can rely on it.. Kaplan definitely helpful for OBGYN and Paeds. Weightage: I’m not sure, but I felt all major subjects were tested equally.. Question Length: like UW only. With 3-5Q of whole page length in each block. Time management: It was enough. Had 3-5 min in few blocks but not even few seconds in other blocks. On the whole it was manageable. Qs Marked: 8-10 / block. Last two blocks I marked nearly 20 Qs ! Abstract/Drug Ad: I got 2 abstracts and it was doable. Always save it for the last; do it after you're done with all other Qs..
Multimedia Qs: was doable. ECG, heart sounds, scans.etc weren’t that tough. But few dermat pics were tough. Had no idea. Please do web search on these Qs are they are HY. Biostats: It was pretty easy. Everything from step 1 only. Interpretation type questions were doabe. Patient safety Qs: It's a new topic added recently to the CK contents list. Had around 5Qs in the exam. Thank god I read that topic from Kaplan and it helped alot. MUST READ these topics & WILL appear in exam for sure. Step 1 topics: should definitely revise the topics given in the "Files" section in the group. You’ll definitely get questions from step 1. Last month preparation: just keep revising UW, MTB,CMS. Concentrate on weak areas. PS - Changes have been made to the number of Qs/block. So keep yourself updated n be thorough cause you can't make many mistakes. Good luck & best of luck people :) May the force be with you! Very impressive comprehensive review of the study strategy you employed for Step 2. I am preparing currently for Step 3 and would like to try to adapt your methodology. However, in terms of material I am trying to locate KLN for Step 3 (2015-16) as older notes are obsolete. Can you recommend a study strategy that you plan on employing for Step 3 since you know how to identify the core materials necessary, as well as the approximate time commitment. Step 3 has the unwieldy CCS component as well that accounts for approximately 25% of the final score. I'd like to ask you something i didn't put in the original query. what source did you use to review heart sounds and "scans?" And you mention of Topics in the "Files" section of the "group." Are these areas on the NBME website after you by access to the NBME tests? 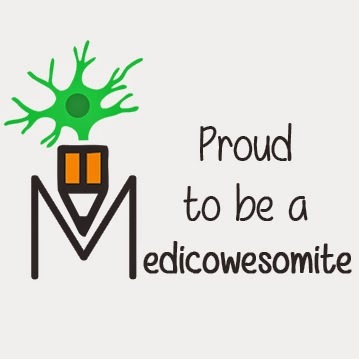 I appreciate your generosity and participation in the medicowsome site. how many incorect qs you got on your nbme 7? and uwsa 1 and 2?